Set in conversations with the land, Te Horo Harvest’s lovingly crafted, organic artisan creations captivate our senses & spur strolls down Comfort-food Lane: a journey of orchards preserved in jars of delight. Te Horo Harvest emerged of a classic narrative from Barbara Harford-Silas’ (multi-tasking mum, sublime cook, farmer, landscaper, design expert, etc.) son’s school fundraising-jam, to craft a small, local, bountiful business in a cook-up of artisan pleasures jamming for the tongue. Seasonal recipe adventures are Barbara’s forte: New Zealand spinach breeds in lush organic compost and spirals into pesto; marmalade trees; figs & olives tap in tapenade; mineral-rich, stone-people oracle Ōtaki River; fat worms echo soil’s bliss; curious duck pops up out of lush pasture under sky-lights and scrapping tuis; where recipes explore orchard-abundance and stun the palate. Te Horo Harvest’s artisanal hundred-year-old (and then some) Toothsome Barn is a crone-dwelling palimpsest of flavoursome tales & creatures — wide-eyed to natives and it’s own engorged garden — a design youngling crafted from an old land of chuckling riverstones & flanked by fierce totara & other natives harbouring spiritual kin; and gracious kereru carrying the seed of regeneration. Magical nourishing of wonderful, curious orchard feasts. She swells, bottling an organic symbiosis of Mother Earth & the Hartford-Silas clan — a matriarch’s kaleidoscope of nectarous crops — a passionate embodiment of characters, creation & community. Her life thrives in sustainability; an altar of dedication enchants the soul in attentive & eclectic work. She defines the land’s glorious birthright as an organic farm bustling in blossoms. Flaunting her kitsch hives of honeybee-bottoms, she feeds happy trades-folk local adventures: tantalising visions in jars of avant-garde flavours. 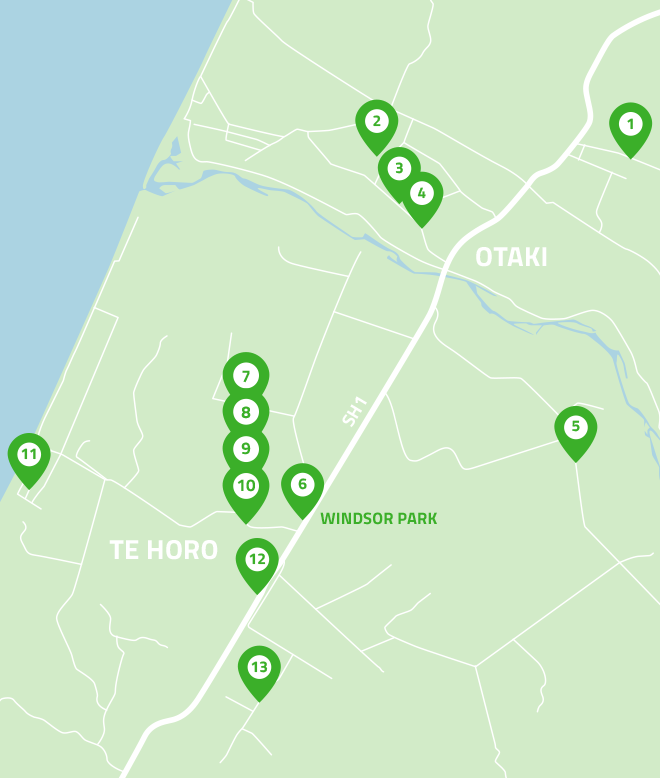 My experience of Te Horo Harvest’s ‘Tree House Farm’ stems from an eager car-meander down rural, picturesque Otaki Gorge Road, to muck in for a day on site with Stephanie Wedge, Te Horo Harvest’s talented & passionate gardener and fellow co-oper. ‘Tree House’ harks rustic, but I’m biased, and rather pimp-up my fave: the stunningly re-designed Toothsome Barn who narrates back to an old settlement — barn-groovy stories I hope Barbara will scribe some day, to cherish Barn’s history. Toothsome Barn was bathing in sunlight, joyful in her final day of makeover completion: artistically unique and utterly gorgeous as a commercial kitchen. Her former chook-barn look crawled with manure and a cacophony of hens. Lapping up her spicy new gas-cooking bench, I was tickled to flutter amongst a communion of creative trades-/crafts-people — Greg, Hamish, Brendan, Chris & Barbara — adoring each other’s creations. 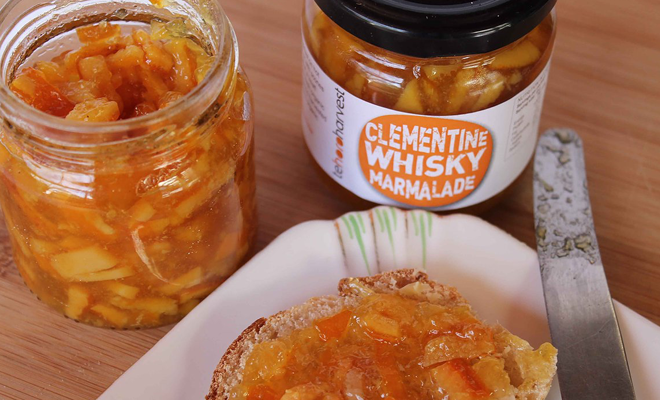 Later followed a frolic toward Lettuceshare to order Clementine Whiskey Marmalade for my mum’s xmas yum. Oh, yes, I do treat myself and Daughter to Raspberry Peach Jam & whipped cream on a Sunday pancake. Vivienne Bailey of the Otaki Mail, (July issue, 2015), wrote a beautiful story on Barbara’s Te Horo Harvest (read here); a sensual anchor to the lively and productive relationship of Barbara, a creative life-force, and the inspiration of working — explorative grazing of what’s there to pick – with wholefoods nurturing her journey to the creation of Te Horo Harvest’s mouth-watering delights DreamCatcher Co-operative have available to us co-opers through Lettuceshare. Preferring not to repeat, nor compete, I’ve also included a link to the website of Te Horo Harvest. A free-ranging gallery for my love of others’ expression; a way for you to gather and explore the richness that mirrors the layers of story this playful, organic farm embodies.